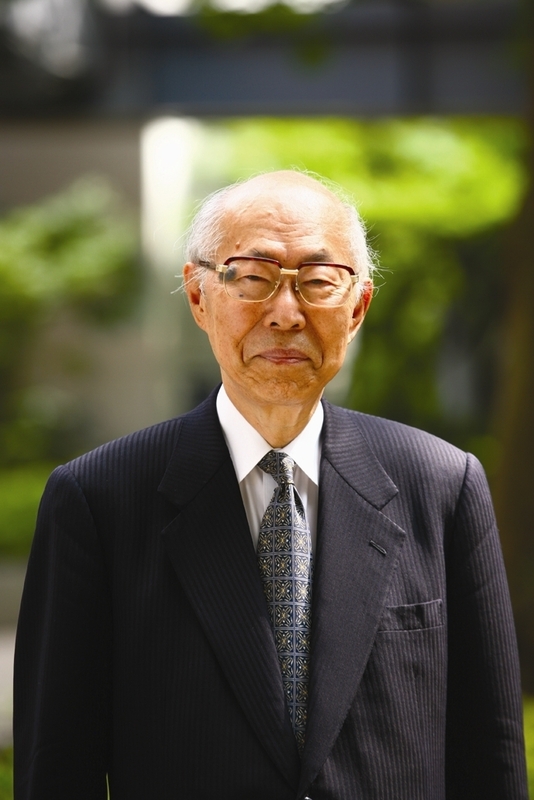 Dr. Akito Arima （有馬朗人）is President of the Haiku International Association (HIA)（国際俳句交流協会）(http://www.haiku-hia.com), a nonprofit organization aimed at promoting haiku globally. Dr. Arima also leads the haiku group Ten’I (Providence)（天為）(http://haikunet.info). On December 2, I received HAIKU INTERNATIONAL NO.91 published on November 30, 2010. In the magazine they reported the results of the 12th HIA Haiku contest（ＨＩＡ俳句大会）, which was such a nice surprise to me. That was because I found haiku by two friends of mine in the report. One haikuist is Chen-ou Liu, who kindly contributed his haiku and tanka to our network. Chen-ou Liu’s haiku was posted in the website on September 25, and tanka, on October 30. The other haikuist is Roberta Beary, who kindly contributed her haiku for Int’l Haiku Spring Festival 2010 held by the Akita International Haiku Network with our sister festival 2010 Bath Japanese Festival. I posted some of Roberta’s haiku from her book nothing left to say for the festival in the website on May 12. I would like to express my hearty congratulations on such nice creations of haiku by Chen-ou Liu and Roberta Beary. Here I post the names of haiku poets and their haiku selected as prize winners and honorable mentions (Non-Japanese Section). I also post their haiku translated into Japanese. Last of all, I refer to what HIA President Akito Arima concluded in the international symposium titled Haiku Worldwide – Present and Future. 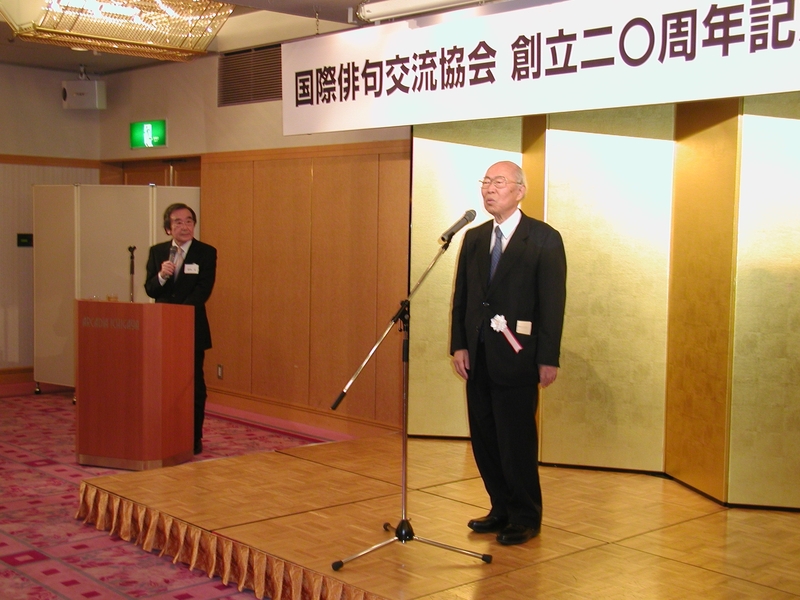 The symposium was given for the celebration of the 20th anniversary of HIA on November 28, 2009 in Tokyo. As panelists, they had Annie Bachini, President of the British Haiku Society, Lenard Moore, president of the Haiku Society of America, Marijan Cekoji, president of the Croatian Haiku Society, Stephan Wolfschutz, president of the German Haiku Society, and Dr. Akito Arima. Tsunehiko Hoshino, HIA vice-president played a role of coordinator. Haiku will spread out to the world more because of its brevity and its coexistence with nature. At present, some young people in Japan write the short poems of three lines: haiku. As a result, people overseas will have more chances to read English haiku written by native speakers of Japanese. The international haiku contests could be held on the Internet worldwide in 20 or 30 years. This might be possible because haiku is written in the shortest form of poetry. We sincerely hope that haiku will be loved in English as well as in their own languages. Great news, the spread of authentic haiku throughout the world. Thank you so much for your warm congratulations and for the time and effort you’ve put into translating all of the award-winning poems into Japanese. Much appreciated. You’ve really made great contributions to promote haiku worldwide through your excellent translations and setting up such a high-quality website, Akita. I want to thank very much to the organizers and the jury. Today I received a letter from Japan, including my prize. As I do not have an e-mail address, I want to thank by this way to Mr. H. Muraoka, the Secretary General, and all those who made an effort for this contest. Congratulations to all the winners! Lovely work. I would like to second what Chen-ou said about Akita International Haiku Network, and Hidenori, and also to the organisers of the HIA competition. As at all times, i appreciate to read all your post. *??? :-.